Khayelitsha is the largest township in Cape Town, and it has a lot to offer. It would take more than a day to fully explore the area, but there’s a lot you can see and do in just a day. Khayelitsha has a thriving small business culture, with local entrepreneurs running tours, restaurants, and experiences. If you visit some of the amazing attractions on this itinerary, you can be sure that you’re supporting local Khayelitsha residents. Expect an unforgettable day meeting fantastic people and getting to know what life in Khayelitsha is like. Start the day with some activity: you’ll want to work up an appetite for lunch time. ABCD Concepts’ Cycling Tour is a fantastic way to get a good overview of Khayelitsha. You’ll have a good sense of the lay of the land, and some context on it’s history and culture from the knowledgeable local guides. The tour lasts 4 hours (9am-12pm), and takes in some iconic Khayelitsha sights. Along the way, you’ll meet local entrepreneurs, taste the local cuisine, and make a whole lot of new friends. The tour includes a healthy lunch, which you can opt for, but we also have another recommendation for lunch time. It’s up to you. After your morning tour, head straight to lunch: you need to make sure you finish in time for the afternoon’s activites. 4Roomed eKasi Culture is the brainchild of Abigail Mbalo-Mokoena, who started the business while she was competing in Masterchef SA. 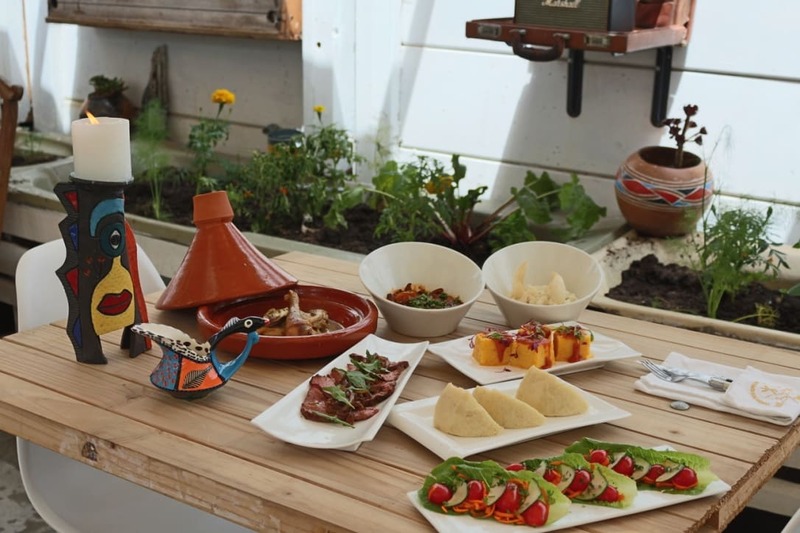 It operates out of a four roomed home modelled on those found in the oldest townships of South Africa, and guests can expect traditional township cuisine with fine-dining flair. While you’re there, Abigail will tell you stories from her youth growing up in a four-roomed home, and tell you about the proudly South African dishes. It’s open on weekends for walk-ins, but during the week it’s open by arrangement only, for a minimum of 10 people. Aim to finish up by 1:30pm so you can fit a few more things into the afternoon. Tour guide Juma Mkwela is an established artist who calls Khayelitsha home. His art tours include the opportunity to paint a mural in the community, view existing murals, or plant veggie gardens for local families. Expect to meet many locals: that’s what this experience is really about. The tour starts at 1:30pm, and takes about two hours. Tours are customised to your interests, and can include preparing a meal with a local family. It also includes a pick-up, so you don’t need to worry about how to get there. You’ll also stop off at the Khayelitsha Art Hub. If you’d prefer, there’s also an early morning tour, which you could opt for instead of the cycle. Set aside an hour to visit the 18 Gangster Museum. It offers an authentic look at some of the difficulties of Khayelitsha life, especially the impact of gangs on the local community. Tickets are very affordable, and they fund youth programmes in the area. The tour lasts about an hour, and includes time spent inside a replica prison cell with ex-offenders telling their own raw and real stories of gangsterism and prison. You’ll also see memorabilia and archives, and learn local gang songs, chants, slang and handshakes. They’re also happy to provide transport. Just contact them in advance to book and arrange a meeting place. Before you hit the road, head over to Siki’s Koffee Kafe for a taste of the best coffee in town. The space has wifi and functions as a sort of hub for artists and entrepreneurs. Siki is energetic and welcoming, and you’re bound to meet some great people, and run into a few folks you met earlier in the day. If you’d like a taste of Khayelitsha nightlife, ABCD Concepts also runs nightlife tours. They start at 3pm and end at 8pm, and the guides will show you a good time at a local bar. They’re locals, so you can expect to learn a lot about Khayelitsha culture, and meet many new friends over a few drinks. The guide and first round are included in the rate. 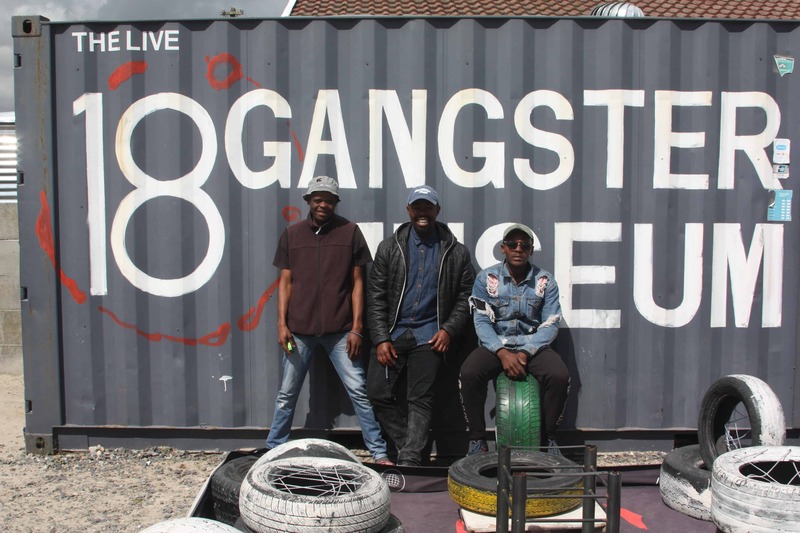 Because the tour starts at 3pm, it’ll be tough to fit in the 18 Gangster Museum and Township Art Tour, but if you’d rather socialise with locals it’s a good way to end the day. Make sure you stick with your guides, and unless you have a transfer back home, consider staying over at a local B&B. Be safety conscious and don’t wander around alone after dark. If you’ve stuck around for drinks, it might also be worth booking yourself into a local B&B to stay the night. There are a few fantastic options. Malebo’s B&B is a stunning home away from home offering comfortable accommodation overlooking the township. A home cooked breakfast is served in the morning by your host, Lydia. At Majoro’s B&B, there are double or twin rooms available. The shared kitchen is available to guests, and your host, Maria, will prepare a traditional or English breakfast for you. Lunch and dinner can also be prepared on request. Another great option is Imvusa B&B. It is located 10km from the centre of Khayelitsha, offering guests a quieter stay. The rooms are simple, elegant, and comfortable. Breakfast offered includes cereals, porridge, or a full English breakfast. A traditional dinner is also available on request.